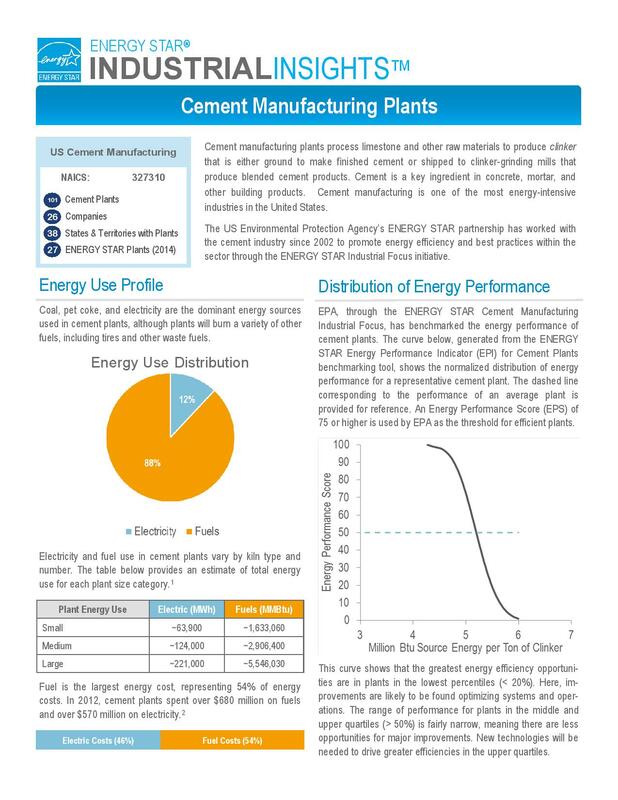 This 2-page factsheet presents an overview of energy use and greenhouse gas emissions from cement plants in an easy-to-read format. The factsheet is part of the Industrial Insights series, which uses EPA data to provide information on energy use in industrial facilities. EPA’s ENERGY STAR partnership has worked with the cement industry since 2002 to promote energy efficiency and best practices within the sector through the ENERGY STAR Industrial Focus initiative.